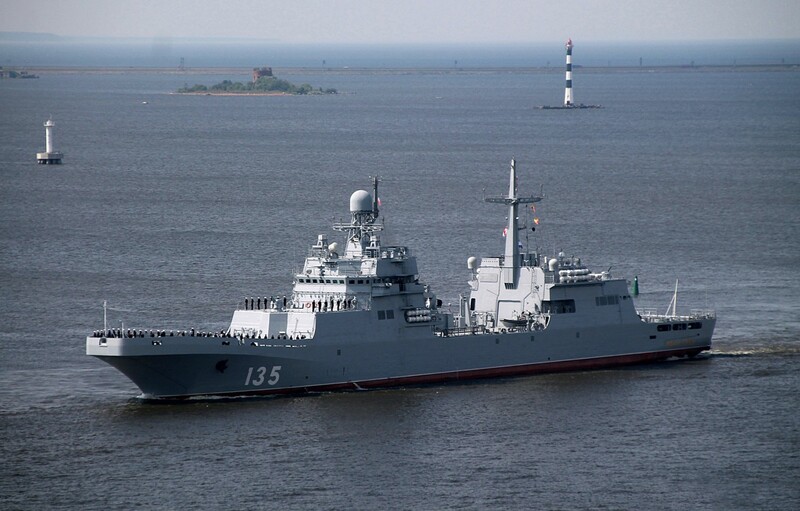 Russia’s United Shipbuilding Corporation (USC) will improve Ivan Gren-class amphibious assault ships, taking into account the Navy’s remarks, USC Head Alexei Rakhmanov said on Tuesday. "As we make arrangements for the production of the next two amphibious assault ships, we will take into account all the drawbacks expressed by the fleet," the corporation chief said. The project of amphibious assault ships will be improved from the viewpoint of their maneuverability, their readiness for sea transits, the crew habitability and the ergonomics of building the ship, he added. Piggybacking on the story I posted earlier today (much earlier). The Russians doing improvements to this class of ship shows a "lessons learned" from the deployment to Syria and MAYBE an eye toward the Pacific. If this is signalling a tilt toward the Pacific then that region is going to get very full, very fast. Side note. Why does everyone talk about anti-access with regard to the Pacific when we don't have to "enter". We're already there in MASS! I don't know what military planners are actually up to, but the only need for a penetrating fighter/bomber is to strike the Chinese mainland. Our fight will be to keep China contained, not to fight our way into the region!